COPPA Rules Have Changed and MamaBear is Still 100% Compliant. 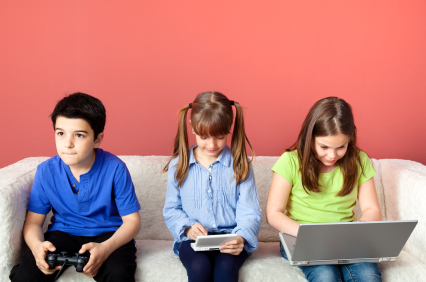 The first of July marked a good step forward with the effort to protect our kids online. The Children’s Online Privacy Protection Act (COPPA) had several new amendments come into effect on July 1, 2013. Rest assured the MamaBear App remains compliant with these new adjustments to COPPA with full parental consent upon account registration. We’re grateful for the groundbreaking measures that this important piece of law instituted to help the Federal Trade Commission (FTC) protect kids online. Since becoming effective in 2000, COPPA has become an essential tool that protects our childrens’ private information online. COPPA sets strict limits on what information can be gathered online without parental consent. All those “Are you 13 years or older?” prompts you see when you join a new website, service or forum online is a great example of COPPA protection at work. The new additions to COPPA, added in 2012, expand and modify some of the existing child privacy protections as well as codifying new technologies into the law’s language. These new additions to the law address the major increase of data collection technology, behavior related marketing and the use of mobile devices by a growing number of young users. The additions also protect geotag related information as well as photos and recordings a child may have online. This proactive approach from the FTC should help many parents rest easier. As an extensive family monitoring and communication tool, we understand the importance of these legal boundaries and are still completely in line with existing and new COPPA regulations. After receiving parental consent during account registration, MamaBear communicates gathered information directly to the parent. Your children’s personal information is never given to third party sources. We’re on a mission to provide parents with a wealth of valuable information while still respecting a family’s right to privacy online and out in the real world. Previous PostPrevious When Parents Monitor Kids’ Instagram: Too Far, or a Modern Necessity?